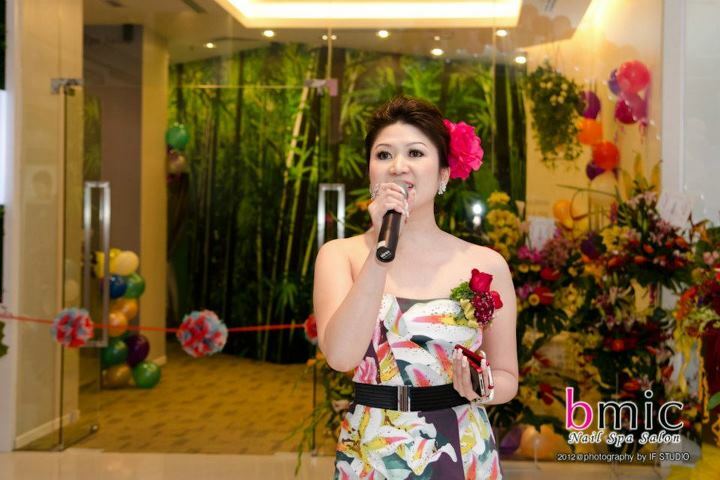 Bmic Nail Spa Salon had their Grand Opening launch in Pavilion on the Seventh Floor. 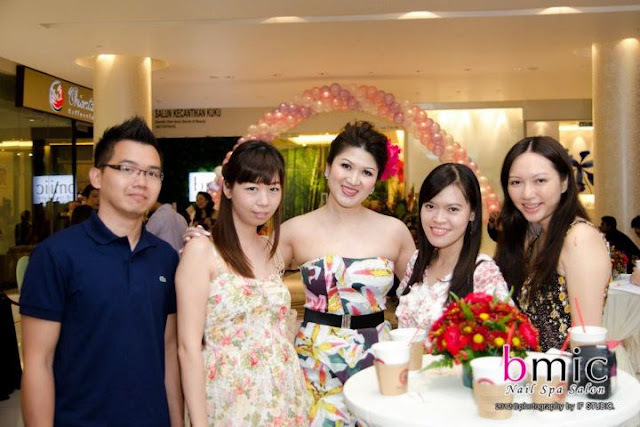 All the manicurist and staff of Bmic Nail Spa Salon of Pavilion and Michelle the owner. The crowds, attending to celebrate and witness the grand opening of Bmic Pavilion! Serving Pacific Coffee to all the guest. Ms. Irene Wong with Michelle Hee. Bloggers who attended the launch with me on behalf of my invitation. 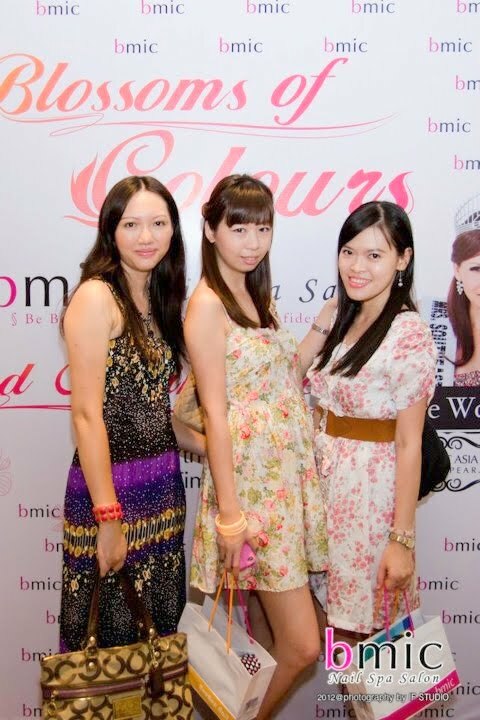 Li Ping aka Charmaine and Sharon together with me! With the boyfie Larry aka my Fluffy. Larry, myself, Michelle, Sharon and Li Ping aka Charmaine. With the theme, Blossom of Colours, we’re dressed in flora with vivid colours! Michelle shared about Bmic Nail Spa Salon, how it all started from a small salon located in a hotel in KL, to shifting to a bigger place in Starhill moving from hotel to shopping mall, and opening another outlet with a fresh & young brand and concept in Fahrenheit 88 as BeeBee Nail and now a third outlet in Pavilion. The official ceremony of ribbon cutting. Next, what we anticipated. The Nail art design showcase. 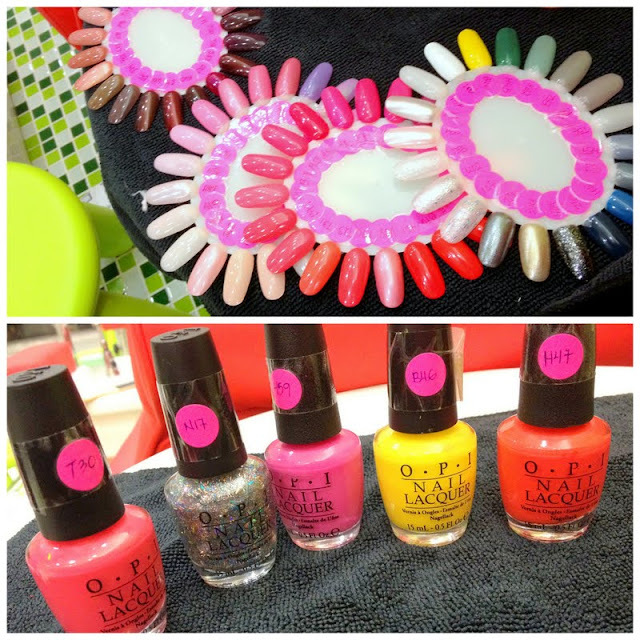 Touring the outlet, check out all the pretty nail colour of OPI! I wish I can have half of it. Love the variety of shades in red and pinks! OPI Hand and feet mask and scrub in cucumber if I’m not mistaken! Love the scent! We get to trial out some of the treatment. So this is the hand treatment. Boyfie trying out the serum treatment to brighten and smoothen skin on hands. After the scrub, I did mask and leave it on for a few minutes. It’s smooth and rejuvenate moistures. A picture of me and michelle in our flora dress. 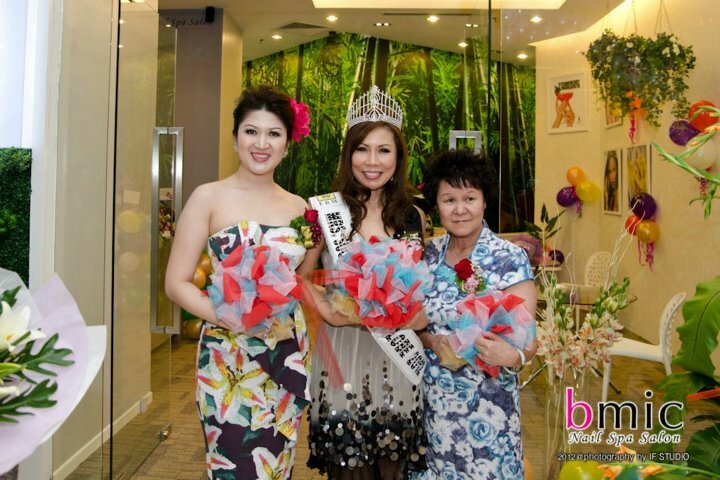 Once again, congratulations on Bmic Nail Spa Salon and the latest joint, Pavilion Outlet! Later on that week I went and had a pampering session. As recommended by Michelle, I went colourful pop with glitter. Loving the manicure! The next time you visit a nail parlour, get creative instead of the usual single colour nails, you can have these colourful nails to brighten your day. For more info do check out Bmic Nail Spa Salon Pavilion Facebook and Starhill to stay update to date on the latest promotions and nail art design!